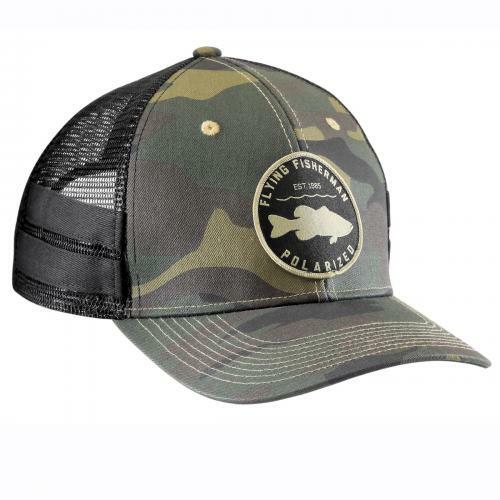 Flying Fisherman Bass Patch Trucker Cap in camo with black mesh back. Adjustable snap back closure. Curved bill with khaki stitching. Dark Non-glare undervisor. One size fits most. Bass patch featured on camo crown with solid black detail stipes on the side. Flying Fisherman logo tag on back.